It seems everyone’s super excited about our Halloween Special! As the Munzee eyeballs bounce around the world to a location near you, we’d like to share a fun poem sent to us from Munzee player ColesCruising! ..And suddenly to my surprise He blinked at me! And then he winked at me! And before I knew it, there was more! A cloning effect, it had gone mad! And took over quite a few Munzee! And save our lab while having fun! Don’t just sit there, get out and grab! Happy Halloween from all of us at Team Munzee, and a big Spooky shout-out to ColesCruising! Team Munzee knows that without our players, there would be no game. It’s players like you that help grow the map, and the world of Munzee. Because of this, Team Munzee is starting the Munzee Player of the Week Spotlight. For all the players that make Munzee extra special, we want to take a moment and highlight you on our blog. Our very first Munzee Player of the Week Spotlight is a player we met on our “Munzee Crosses the Border” adventure into Canada! This week, we’re highlighting player MunzeeRailfan, from Ontario, Canada. This young Munzee hunter was a blast to meet, and is the very inspiration for starting our Player Spotlight! How did you find Munzee? My dad is a geocacher, and he heard of Munzee first. He started playing and showed me what it was all about. After that I was hooked! I love collecting the points, and my favourite way of doing that is by deploying Munzees, but I also like to clear out areas by capturing all the Munzees there. I have been to some real cool places as well. I’ve played in Canada and the US, as far away as Florida. I would love for Munzee to release some Virtual Mysteries or Locationless Mysteries. I thought the idea of the Motel Munzee was great as well. My real name is Jake and I’m always telling people about Munzee. I’m very active in promoting Munzee and getting more people in the game. I like to Munzee with my Dad and my friend Logan. My dad says that I’m Eastern Ontario’s #1 Munzeer (sidenote: We agree!) and says he’s never seen anyone as into the game as I am. I just really love the game and Munzee pretty much every day. My goal is to make Brockville, Ontario’s #1 place to Munzee. My favorite Munzee experience ever was meeting Rob and TJ from Team Munzee, they were great guys and so nice. I told dad we’ll have to go to Texas and Munzee with them. Rob, Mark, Jake and TJ on an extra-terrestrial adventure! We’re so glad we met Jake on our trip, and we’re happy to introduce him to all the players out there in our worldwide Munzee community. It’s inspiring to meet younger players with so much passion for the game and outdoor adventure, and we hope Jake inspires you too! Do you know a player that inspires you, or does their part to grow the world of Munzee? Know a Munzee super-hero, or maybe just someone that makes you smile? If so, send us a message at iLoveYou@Munzee.com with their name, player name, and your info as well! Keep your “eyeballs” on the Munzee map this Halloween! Team Munzee is launching 50,000 eyeballs on the map this Halloween, so be prepared for a creepy landing in your hometown! Eyeballs will land on regular Munzees (“greenies”), and will not land on specials (like Motel Munzee). This launch should give everyone, everywhere, a chance to capture one of these slimey-grimey eyeballs! The eyeball will be available for the first to capture only, then disappear from the map. Munzee eyeballs will begin crawling onto the map October 30th, 08:00 am MHQ (GMT -5) and they’ll stay on the map until November 1st, 05:00 am MHQ (GMT -5). Players will have a little over 45 hours of gameplay to capture an eyeball! Point structure: 31 points will be awarded for each capture. The 31 points will be split between the capper & owner, with a minimum of 10 points for each! Keep your eyes peeled, one of these bouncing balls of Halloween mischief might just creep up on you! Munzee Movember – Team Update and Prize announcement! As you may know, Team Munzee is participating in Movember this November, and we really want our players to get involved! Click Here if you’d like to learn more about Movember. So get involved this Movember! Your contribution will help change the face of Men’s Health worldwide, and you might just win a prize! We’ve listened to feedback from many of our premium members regarding the new Undeployed cap rules announced earlier this month. As a mobile game company, we want our players to enjoy all aspects of the game, including Munzee deployment! Without you, how would we grow the map? The decision has been made to create a new cap limit on Undeployed Munzee for our Premium members. Premium members can now hold up to 250 Undeployed in their Undeployed List. Since our players are supporting us with their Premium memberships, it’s fair to provide Premium members a larger library of Undeployed Munzee. Our basic player accounts are limited to 100 Undeployed Munzee. 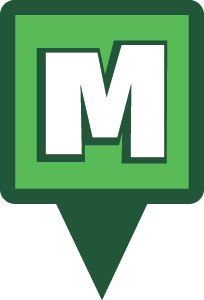 For basic accounts and premium members that require a larger amount of Munzee, check out the Munzee store online for our Generic 1″ Munzee stickers. Generic Munzee codes aren’t linked to your player account, so you don’t have to worry about your Undeployed List. Our Generic stickers are the most convenient method to deploy large quantities of Munzee when necessary. As we grow, it’s important to continually hear constructive feedback from our player community, and we appreciate the feedback we’ve received so far! If you’ve got suggestions for us, feel free to contact us directly! Team Munzee makes a Difference in Movember! November 1st is the official start of Movember, and the freshly shorn men of Team Munzee will be growing a mustache to raise funds and awareness for Men’s Health. It’s going to be a “hairy” journey, and we want you to be a part of it! What’s Movember? Movember is the month formerly known as November, where men and women worldwide join together to raise awareness and funds for men’s health. Men grow a Mo (moustache) for 30 days essentially turning themselves into walking, talking billboards of cancer awareness! Ladies, you’re not left out, women can support a Mo’ by becoming a Mo’ Sista and share awareness as well! A moustache is the mark of a man, and today it is a symbol to spark conversations about important health issues. Movember, an official global charity, supports world-class men’s health programs that combat prostate and testicular cancer. Team Munzee has started an official team on the Movember site, and we’re fighting for our right to change the face of men’s health. Join Team Munzee and register for Movember on Movember.com. Guys, pledge to grow a Mo’ today! Ladies, join the team to support Team Munzee’s Mo’ Bros, by becoming a Mo’ Sista! We’re really excited about Movember, and would love to see the Munzee community come together for such a great cause. The fun of Movember doesn’t stop there. Team Munzee is pulling out all stops to get the Munzee community involved with Movember. We want to prove to the world that the fun of Munzee isn’t just getting outdoors and having some healthy fun, it’s also about creating a healthy cancer-free world. -Post pictures of your Mo’ progress on Pinterest and Instagram! You can tag us via @Munzeeapp and be sure to use the hashtag #Movember to help spread awareness. Pinterest pins will be added to our #Movember Pin Board on Pinterest, and we’ll randomly give “Likes” and shout-outs (Tweets) for our Instagram friends! We’re also selling Mustache Pins! Mustache Pins will be $1.00 (USD) each. 100% of the profits for each Mustache Pin sale will go towards a non-specific charity once Movember is over! The Mustache Pins will be available in the Munzee Store November 1st through November 30th. Pins will also display on the Munzee map from November 1st through November 30th only (they will be archived on December 1). So purchase as soon as possible to get some great ‘stache exposure. Our Mustache Pins will have the same amount of points as regular Virtual Munzees, and follow the same in-game rules. Everyone here at Team Munzee is passionate about Movember, and we want the awesome Munzee community of players to get involved. We’ve read countless stories and met so many of you who have amazing stories of Munzee changing your health. One of the many things we’ve learned is that Munzee offers a fun, healthy experience for the entire family. Our passion for the outdoor game experience fits right in-line with healthy causes like Movember, and we want to prove it to the world. Show your support for Movember and Men’s Health. Well, we are worth it! If it weren’t for a little green, many Munzee players would have never discovered the game. Remember that first capture? There I sat, on a light pole, a utility box, a sign, all green and alone. Then you came along and SCAN! I’d finally been captured! Take some time to honor the “green” -the original Munzee are what got you hooked in the first place! On November 9th (00:01-23:59 MHQ time GMT-6) we’ll be celebrating the original green. That’s right, Jim Henson’s favorite frog and Team Munzee’s favorite muppet, Kermit. 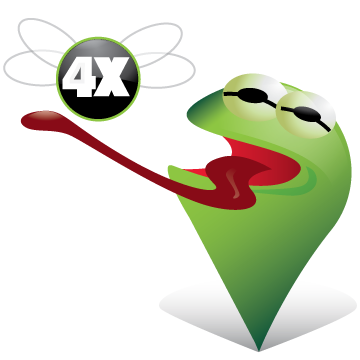 In honor of Kermit and the original Munzee, we’ll run 4x points GREEN Munzee day on November 9th! Our original, green guys will be worth 4x the points. You’ll receive 4x points on both captures and deploys for November 9th, 2013! ALL GREEN ACTIVITY is 4x! What better reason to get out and capture? Why November 9th? Well, because Kermit the Frog turns 59 1/2 on November 9th! 9 – 5 = 4 (hence 4x). Elementary, my dear Kermie! 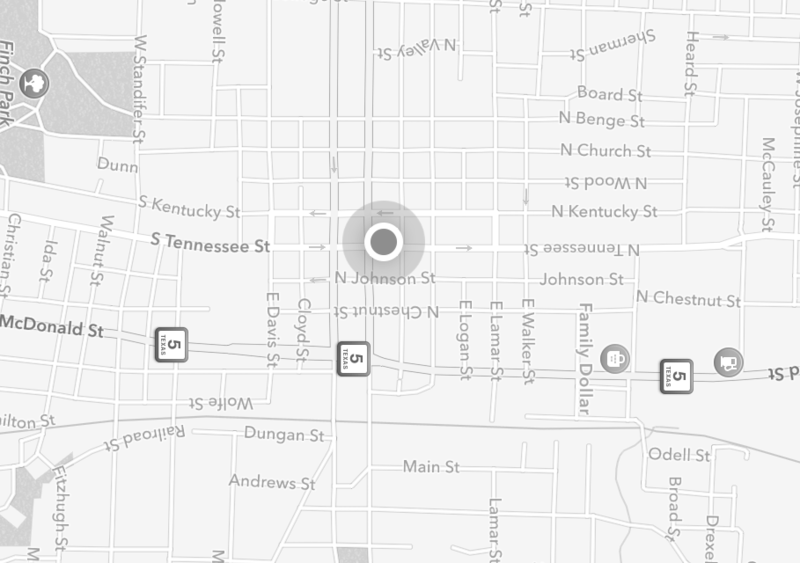 So show some love to our beloved green Munzee, and keep an eye on the map! PS: Got an awesome “Green” capture photo? Tweet your favorite green capture from Instagram or share your photo on Facebook with us. Use the hashtag #Munzee so we can keep an eye out for you! Your voices have been heard! You want improved response and functionality of the app and website. We’ve got you covered. Over the past few weeks we’ve been analyzing the guts of Munzee. It is always our goal to keep things running efficiently. As part of this process we’ve found an excessive number (over half a million) Munzees sitting in undeployed lists of players worldwide. In order to better allocate our server space, the number of Munzees allowed in your undeployed list will be limited to 100. This won’t affect Munzees created prior to this change (players with more than 100 in their list don’t have to worry about their existing undeployed Munzee disappearing). This will also not effect your ability to undeploy a Munzee that needs to be repaired. Generic stickers aren’t attached to any account, so they won’t populate or eat up space in your undeployed list. If a player’s looking to deploy a mass quantity of Munzee over a short period of time, Generic stickers really are the best option! Team Munzee is really excited to offer a better server and in-app gaming experience, so we’re always listening. We encourage you to share this post with you’re fellow players, and can’t wait to see your comments and feedback! In July 2011, Munzee was born from the blood, sweat, and tears of 4 co-founders. Aaron Benzick, Scott Foster, Chris Pick, and Josh Terkelson took an idea from Aaron and released it to the world. Within months the game was worldwide and gaining players at a rapid rate. In June 2012, Rob Vardeman joined the team to work with the community and business relations. All members of Team Munzee worked as volunteers, nights and weekends, after working full time jobs during the day. Over the next year, as Munzee grew Josh and Chris stepped down in order to focus on family and their full time jobs. Additional team members have been added, both full and part time. The game continues to evolve and grow. This weekend a big change occurred as Aaron stepped down as President of Munzee, with Rob named in his place effective immediately. Rob is honored and excited to lead Munzee forward into the coming years. We are thankful to Aaron for leading Munzee to this point and appreciate the work he placed into this game we all LOVE so much! Thank you Aaron! Munzee Motel available in the store now! Premium users are able to purchase the Munzee Motel for $2 each with a maximum of 5 motels per month. MHQ is very excited about the addition of the motel to your toolkit. Learn all the details about the Motel here. All current premium members will receive one free motel and it will be included in the future premium members kit as well. Player Messaging is no longer a Premium-Only feature, it is now available to ALL players! You will find the messaging icon next to your username at the top of your account page. Oktoberfest has ended. We hope you were able to get some of the icons and extra points! For those who captured all three icons you will soon be receiving the Oktoberfest 2013 badge!